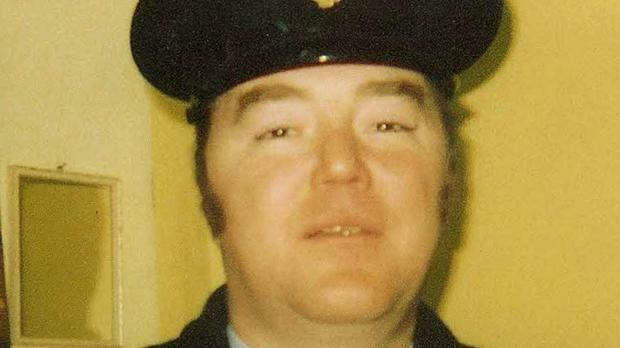 Brian Stack was the only prison officer to be assassinated in the Republic of Ireland. Two Sinn Fein TDs have faced calls to make statements about the murder of a prison officer in 1983. Martin Ferris, a former IRA gun runner, and Dessie Ellis, who was convicted for Provo bomb offences, were named by Fine Gael TD Alan Farrell and urged to publicly comment on the killing of Brian Stack, a father-of-three and chief prison officer at Portlaoise. The row erupted after Sinn Fein leader Gerry Adams made a statement in the Dail on his dealings with Mr Stack's sons Austin and Oliver as they sought answers over their father's death. Mr Ellis insisted he was in jail in Portlaoise at the time of the gun attack and challenged Mr Farrell to make accusations without parliamentary privilege. "You should check your facts. You're a disgrace," the Dublin TD said. Mr Ferris said he spoke to garda detectives at their request three years ago about the murder inquiry. "I co-operated fully with them and I have nothing to answer for. It is a disgrace that you have come in here," Mr Ferris told Mr Farrell. Murdered prison officer Mr Stack was shot in the back of the neck on March 25 1983 after leaving a boxing contest at Dublin's National Stadium. Left paralysed and brain-damaged, he suffered for a further 18 months before dying from his injuries at the age of 47. His sons had several meetings with Mr Adams in 2013 and in August that year they travelled in a blacked out van to an undisclosed location in Northern Ireland where a former Provo chief admitted the terror group was responsible for their father's murder. The IRA said the killing had not been sanctioned by the leadership but ordered by an individual. At the time the Stacks accused Garda detectives of botching the original investigation. They also said other officers who had taken the case on in later years refused to co-operate with the family. Their quest to uncover the killers' identity resurfaced in recent weeks over an email which Mr Adams sent to Garda Commissioner Noirin O'Sullivan during the last election. It included the names of four people which the Sinn Fein leader said Austin Stack had given him in connection with the unsolved murder. Mr Adams said he had spoken to three of the four people and made it clear in the email that he had no information on the killing. "There is a live Garda investigation," Mr Adams told the Dail. "I am prepared to cooperate with this." Austin Stack, who followed in his father's footsteps and went on to join the pr ison service, has denied giving Mr Adams the names. The Sinn Fein leader was given the unusual opportunity to make a statement in the Dail on the Stack murder after repeated questions were raised by Taoiseach Enda Kenny and Fianna Fail leader Micheal Martin. On the killing, Mr Adams said: "It was a grievous loss for his family and should never have happened." He also defended the anonymity granted to former IRA members who supported the work of the peace process and those who worked to recover the bodies of the IRA's Disappeared victims. And he defended the same approach of anonymity for IRA members involved in decommissioning, the Smithwick tribunal, secret talks with governments and ceasefires. "Progress was only possible on the basis of confidentially and trust. That is why no IRA people where named during any of these initiatives and why they should not be named today," he said. "It is an essential part of any conflict resolution process."